IDeA is an interdisciplinary research center with experts in the fields of psychology, educational science, psycholinguistics, neuroscience, sociology, and psychoanalysis who investigate the developmental and learning processes of children up to the age of twelve. With a specific focus on children at risk of academic failure, research at the IDeA Center focuses on children’s individual development, adaptive education in various educational contexts, and educators and teachers as the main professional actors in daycare facilities, kindergartens, and elementary schools. At the IDeA Center research on individual development focuses on developmental and learning processes of children. Cognitive and social influences on various domains relevant for successful education are studied, using longitudinal and cross-sectional designs. In addition to investigating how typical development provides a foundation for academic success, IDeA researchers are especially interested in divergent processes of development (e.g., learning disorders) attributed either to cognitive and neurological issues or to social inequality. The research teams at the IDeA Center develop and evaluate assessment tools designed to improve accuracy of the prediction of later school performance and thereby facilitate early intervention. 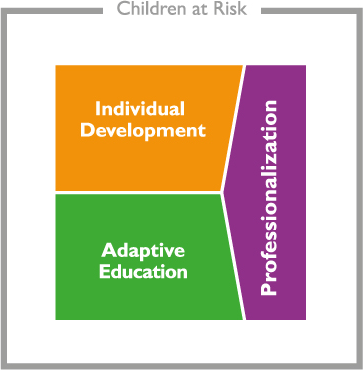 The central aim of research on adaptive education at the IDeA Center is to identify children’s specific living and learning conditions and determine the extent to which educational programs take these contexts into consideration and adapt to them accordingly to ensure that the individual needs of children with varying preconditions are met. The learning contexts investigated include educational institutions such as daycare centers, kindergartens, and schools, as well as family, peers, and the home environment. 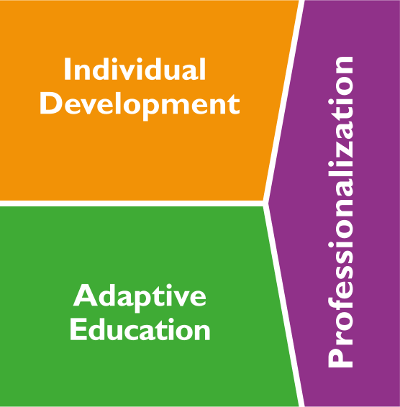 Another focus of the projects is the development, evaluation, and implementation of adaptive learning arrangements that provide children with the support they need. Projects at the IDeA Center are concerned with the professionalization of educators, who are key actors in the education system. IDeA research explores the competencies, orientations, and attitudes of educators and teachers in daycare facilities, kindergartens, and elementary schools to determine what support they need to arrange and manage settings conducive to learning for heterogeneous groups with varying needs and preconditions. Further, researchers at the IDeA Center investigate how politicians and the public view the role of educators and teachers and what expectations they express concerning their pedagogical work.